he has been involved with some of the biggest names in the business. the links to the left. and George Sweetnam are Emile's half brothers. 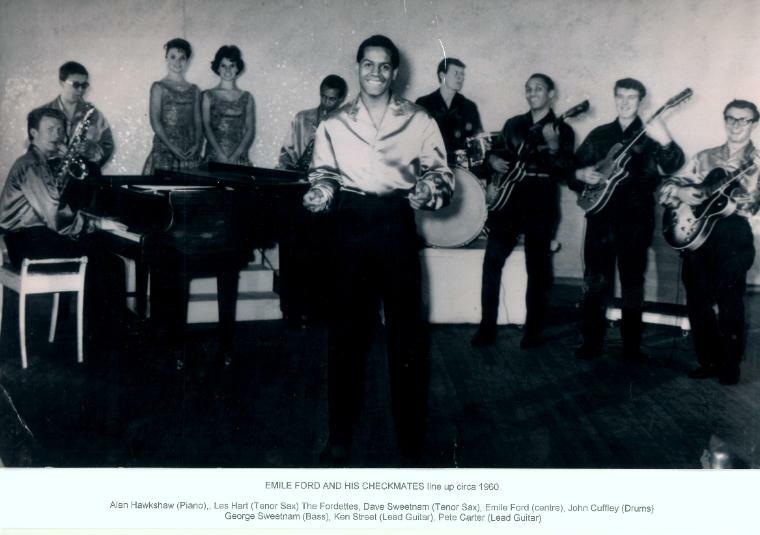 Emile Ford born Michael Emile Telford Miller 1937 Castries St Lucia. with his siblings were all students of the violin. Pete Carter with the Fordettes - the band's backing singers.